Page 14 – Life. Beautifully crafted. It’s November 1st and I know I’m not the only one thinking “LOOK AT ALL THESE BEAUTIFUL FALL LEAVES”. 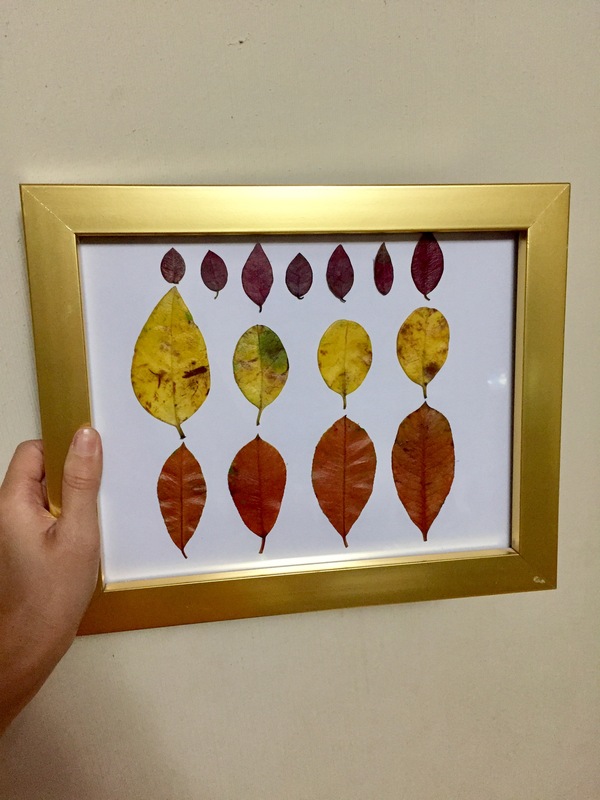 If this is you and you’re wondering how to preserve a few of those lovely leaves then this DIY is for you m’dear. This blog post is dedicated to my sweet cousin, Caitlyn, who asked to “show me your ways” when I did something similar several weeks ago. Step one: Collect leaves-I went scavenging in our backyard. To my delight there were red, orange, and yellow leaves! Step two: Admire and take fun snapshots! Step three: Wash and dry. There will be dirt (&bugs). Step four: Find a book to begin dry-pressing asap. Be careful when placing to avoid folding edges of leaves. Wait about 2 days depending on size. 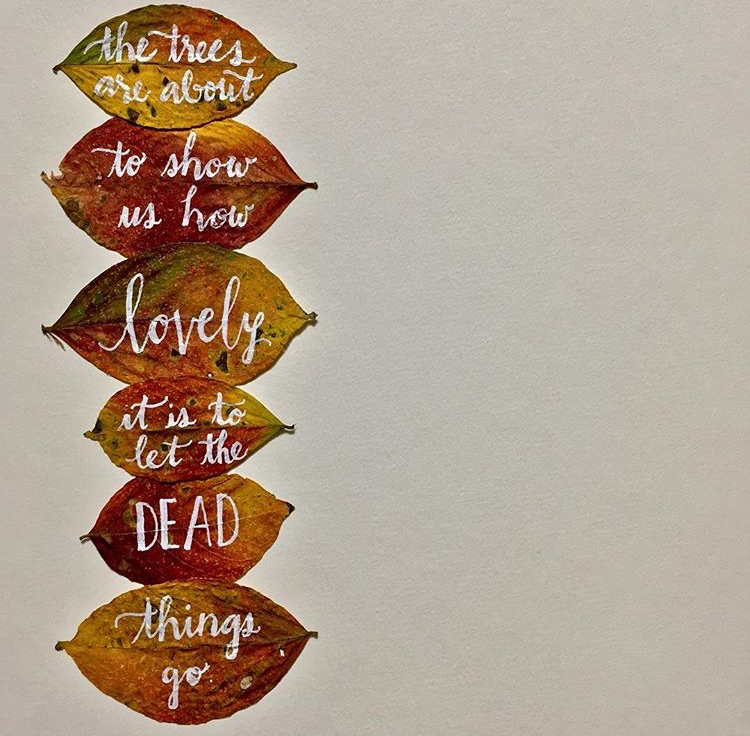 Step five: Open up those pages and check out your #foreverfall leaves 🙂 You can frame them, use as place cards, or something I like to do is write a quote with them. Yes, I know. I’m missing the ‘s’ in ‘crayons’. Brain fart. *Shout out to my cousin, Caitlyn Do. 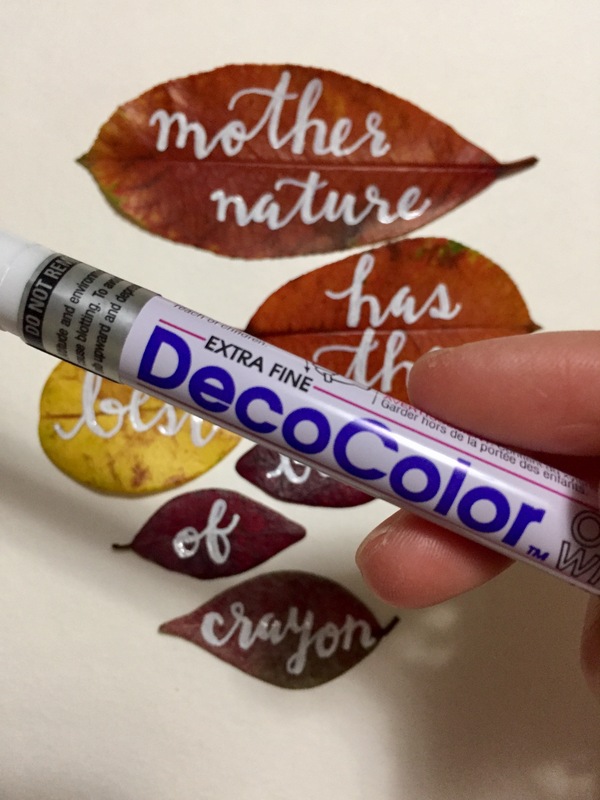 I used DecoColor Extra Fine Paint Pen. And no, Hobby Lobby is not sponsoring this post. I just really love Hobby Lobby. Old photo of when I first did this. 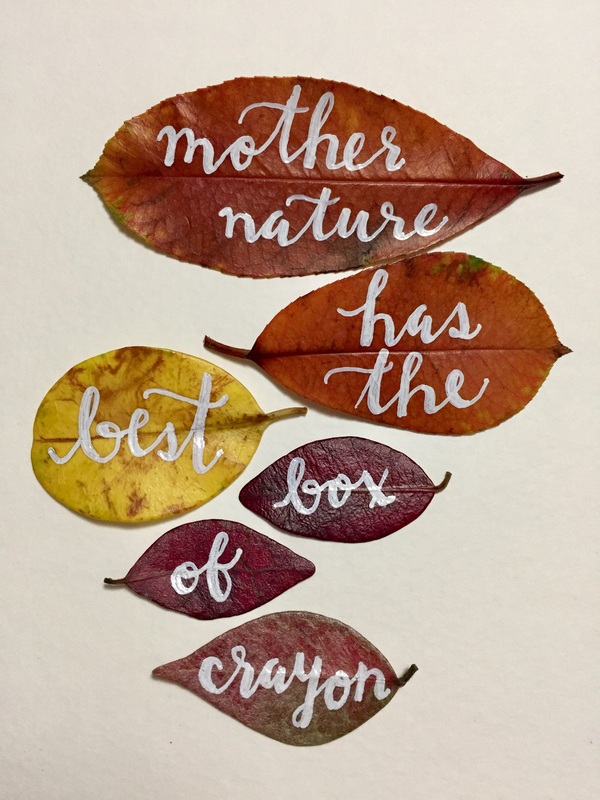 Look at all those lovely fall colors on EACH LEAF. 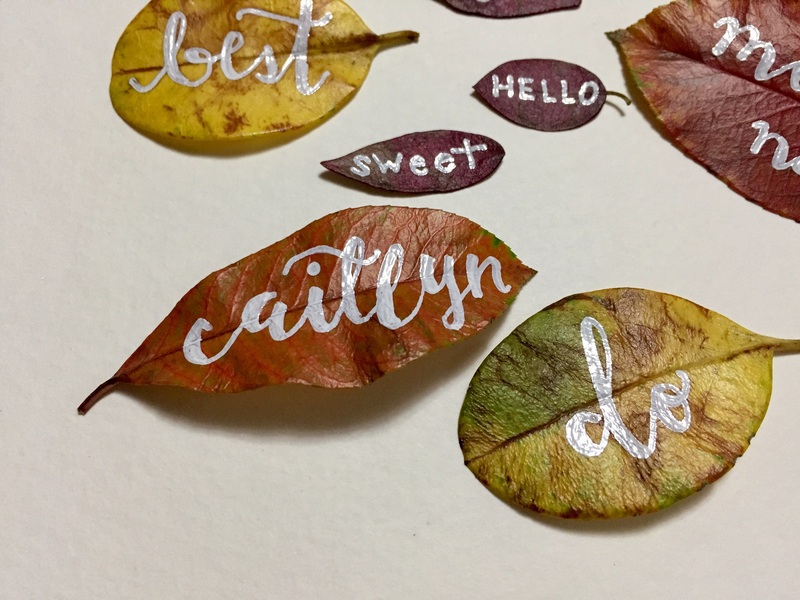 I know this is about preserving fall leaves, but you can use green leaves too! Ya know, for gloomy winters. They’ll be reminders of what is to come as the cold bears down on you. Well I’ll leave y’all to it. Please share photos if you try it out or ask questions if you’re not sure about something.